Taban Hostel Zagreb Centre, Zagreb, Chorwacja : Rezerwuj teraz! Located right in the heart of the city, inside busy historic Tkalciceva Street, where all the action is. Our rooms are new and spacious for a good night sleep, and we offer numerous facilities like free Wi-Fi, a full bar inside the property, 24 hour reception, luggage storage, etc. Wake up to the smell of freshly ground coffee in the morning or enjoy cold beers in the bar or the terrace by the evening. We offer you wide range of the rooms to choose from. 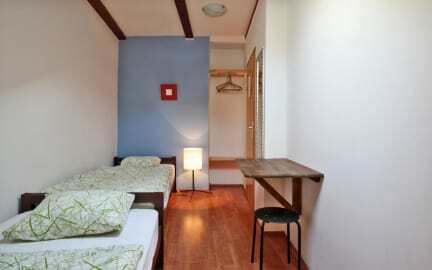 The traditional hostel style dorms are ideal for budget conscious travellers. Those who wants a little more privacy, we have a number of private rooms with share bathrooms. We are especially proud of our deluxe en-suite rooms.